Came across this when watching a re-run on TV a few weeks ago...so its a quick snap. 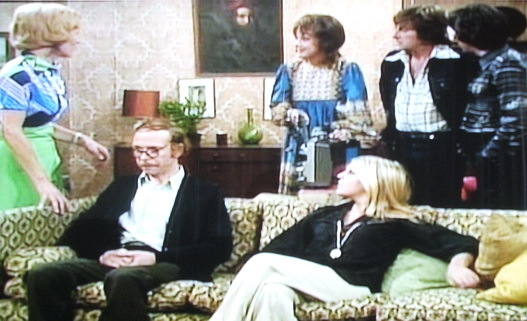 From the popular British TV series "Man About The House" 1973-1976.....thats going back a bit. Anyone recognize the make of projector? My guess its a "Bolex SM8" could be wrong though. I'm not sure about the projector but isn't 'Man About The House' what inspired 'Three's Company' in U.S.? This looks just like the 'Three's Company' episode 'Home Movies' that is also within this topic! Three's Company was taken from Man About The House. Three's Company had an excellent cast and was in itself a very popular TV series out here. Incidentally actor Brian Murphy "seated in above the photo" is the Patron of the British Film Collectors Convention...BFCC. Brian Murphy, who played Roper in Man About The House is also a film collector and patron of the British Film Collectors Convention. nice eye work Patrick the guy to the left on voyage unplugged the unit because he did not like what he saw. 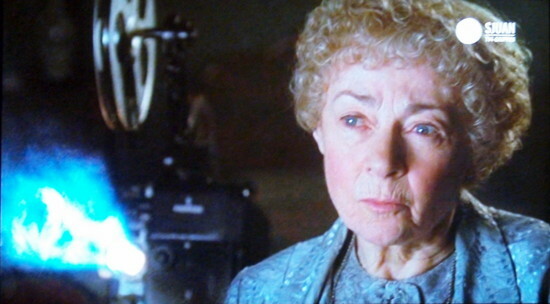 I was surprised to se a short scene in my newest feature on 16MM, Meteor, where a (I think) 16MM projector is shown briefly in the background. 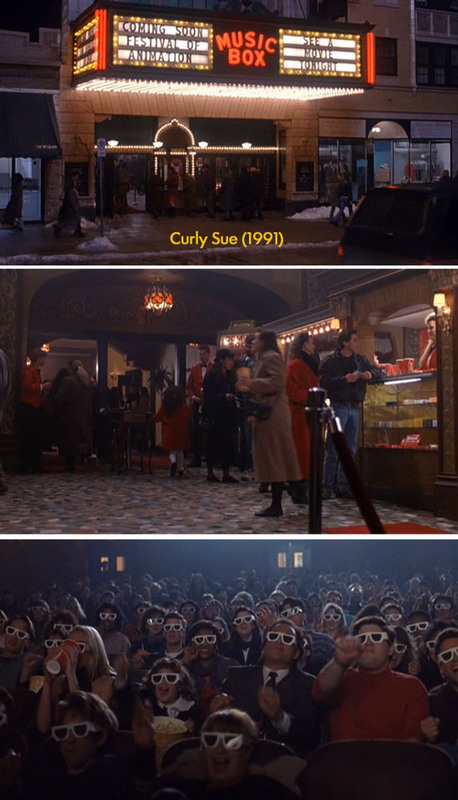 A good portion of The Majestic revolves around restoring a movie theater. As such you see the projection booth quite a bit. I can't seem to find any decent pics off the internet, though I suppose I could rip the pics off of the DVD I have but I am not that computer savvy. Of interest though, the projectors appear to be very old centuries with the shutter blades outside in front of the lenses Plus the screen was masked with academy ratio, before the flat and scope ratios were established. On the rewind bench it looks like that have an old pair of neumade hand cranked rewinds. The Majestic is a nice film and a possible 'pointless' answer to the question "the films of Jim Carrey" (UK BBC viewers should know the show 'pointless'). Steve, your "smack:" button in response to the "Why don't you guys get a DVD player? ", just made my day... One word: PRICELESS LOL!!! 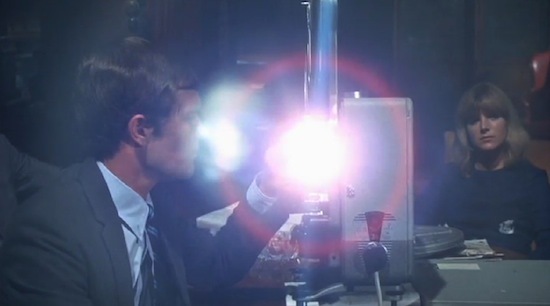 In the very funny scene with Dudley Moore in Foul Play he uses a projector to show a adult film. In the classic Trog, Joan Crawford shows 16mm footage to convince the authorities that the missing link is a gentle soul. 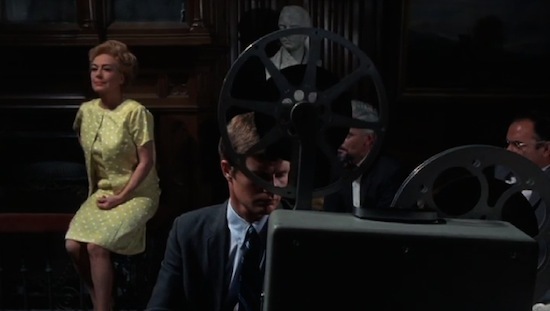 I noticed this projector scene while watching a 1963 episode of The Alfred Hitchcock Hour. Richard Basehart plays a former actor turned defense attorney. At the conclusion of a murder trial the prosecuting attorney recognizes Basehart's closing argument as verbatim dialogue from a movie script Basehart starred in 30 years ago. 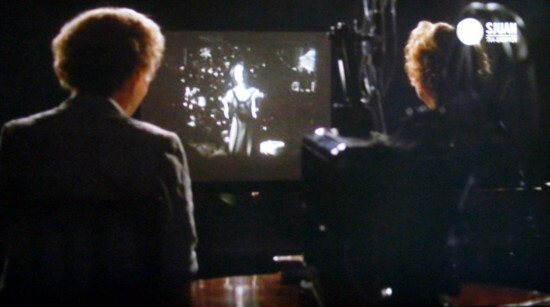 This scene is the judge viewing the movie footage. 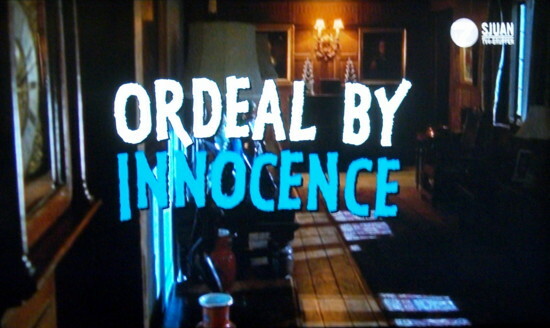 In "Ordeal by innocence" Miss Marple watches home movies of a murder victim. It looks like a Siemens projector. Nice screen shots Lars and a nice-looking projector too. I'm not familiar with Siemens projectors. Recently saw some projectors on TV. Auction Hunters: in a recent episode, in their new shop, there is a projector in the background. Looks like an old B&H to me. 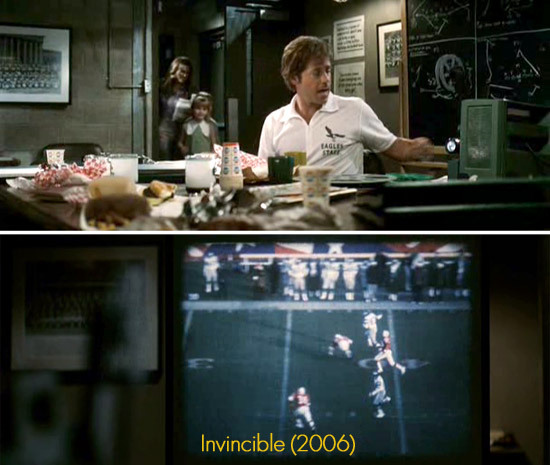 In Dexter there was a projector in some scenes. I don't know what kind of make that is, or if it's 8mm or super 8. But I don't think it's 16mm. Saw that episode of Dexter too. Looks like the Bell and Howell 256 reg.8mm projector I have. 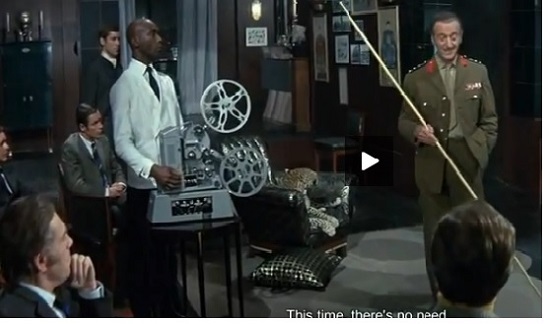 This is from "The Brain" Quite a fun film. Impressive to hear both David Niven & Eli Wallach speak foreign. In The Conjuring they use a 16 mm projector and a 16 mm camera. In Sinister a writer watch films he found in the attic with a projector. 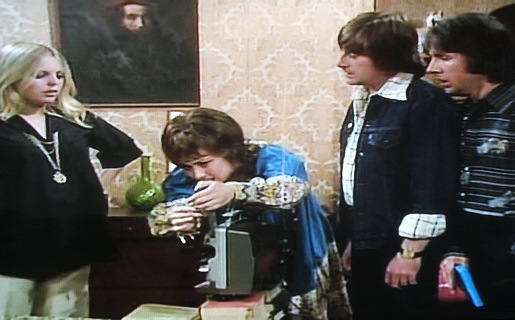 "The Mirror Crack'd" from 1980 begins with the villagers of St. Mary Mead watching a murder mystery film on 16mm. 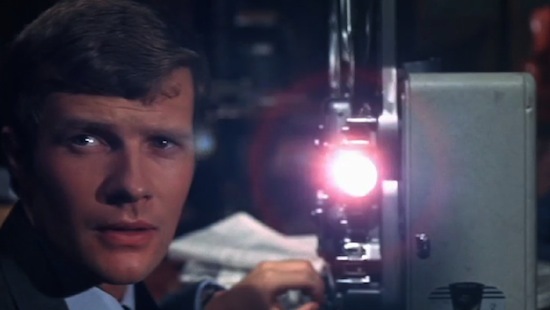 The film breaks just before the Inspector in the movie reveals the killer.